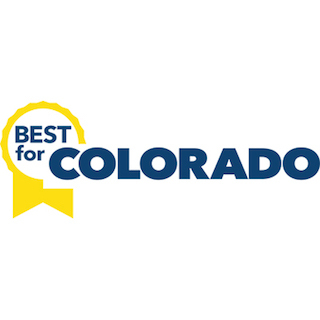 In May, The Alliance Center was honored to celebrate the Best for Colorado Awards with B Lab and the Best for Colorado partners. It was a thrill to spend the evening with an amazing group of leaders who are using their forces for good – harnessing the power of business to not only be the best in Colorado but also to be the best FOR Colorado. Here at The Alliance Center, we connect people to inspire impact. We drive collaborative solutions to create a sustainable future – a future where our communities are inclusive, our democracy is strong, our economy thrives and our planet is healthy. We know that this beautiful vision can only be accomplished through collaboration, especially with the private sector. We actively work to create a sustainable and inclusive world through our building, using it as an incubator of green building innovation, piloting and testing cutting-edge technology and ideas to reduce greenhouse gases, while enhancing the human experience, and the wellness of community that it serves. We do this through our 50 tenant organizations that are leaders in the sustainability movement in Colorado. We do this through our impact programming that convenes government, nonprofit, academia and for profit stakeholders to drive collaborative solutions for the largest problems we face in our economy, our environment and our communities. But, a sustainable future is not possible without leadership and innovations from private sector. Colorado has one of the highest percentages of B Corp certified businesses in the country. We are already leading the way. This is why The Alliance Center is thrilled to announce that we are closely with B Lab to transfer Best for Colorado over to the Alliance Center as the new Program Lead. We can’t wait to harness the power and passion of the community of Colorado B Corp leaders and Best for Colorado participants, and together with B Local, B Lab and many other partners, continue to help companies deepen and measure their impact. We see this evolution of the Best for Colorado program as an incredible opportunity to play a more central role in creating a thriving regional economy that honors community, respects nature, and engages others in this powerful movement. DoneGood: Think Amazon for values-driven companies. When the power of the people voting with their dollars is paired with the inspirational leadership we are seeing from our B Corp and Best for Colorado communities, this movement will be unstoppable! But only if we fully engage, inspire others to step up and make it possible for even more to join. We at The Alliance Center are incredibly excited to lead this program and begin working to diligently transform the business paradigm, fully embracing the true power we hold and harnessing that power to be the best for Colorado, and the best for the world.